I see this movie has been given a bit of a drubbing by many critics. 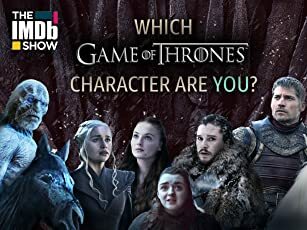 This is somewhat confusing for while it may not be "Gone with the Wind" or "Citizen Kane", it is a far, far better movie than a great many movies that have been reviewed far more favourably. First up I would like to give a HUGE vote of thanks for a movie that shows the Maori people in a positive light, this must be a first. I am fed up to the back teeth with movies that show the gangs and the violence, not that these do not exist in any race, but enough already, we get the picture. What we badly need are some positive role models to aspire to and this movie is a step in the right direction. So bravo for that. 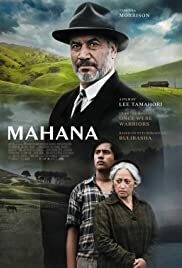 Not that Mahana is a "Maori" movie as such, for while the main characters are indeed Maori they could be any race or any mixture of races, they are simply people in a particular time and place, struggling like everyone else. This movie has been described by some as a "pot boiler" and a "melodrama", rather unfairly I feel. I have seen a few potboilers in my time and this isn't one of them. And while there are a number of scenes that are overly sentimental or just plain unbelievable (the opening car chase and the horse in the cinema, for instance) in the overall sweep of the movie I think these are acceptable without rendering the entire movie a "melodrama". Personally I would say that Tamihori/Morrison's "Once were Warriors" is just as, if not more, melodramatic than "Mahana", yet ironically it didn't get branded as such because it was a "serious" movie with "serious" themes, whereas Mahana is "just" a story and doesn't get off so lightly. As stories go it is a relatively simple one, not unlike "Warriors" in some respects since Temuera Morrison virtually reprises Jake the Muss. The acting is superb all round, and the cinematography breathtaking so full marks for technical aspects. Seeing "Mahana" may not have changed my life but then again very few films have. But I enjoyed this movie far more than I expected and felt better for having seen it, so what more can you ask?